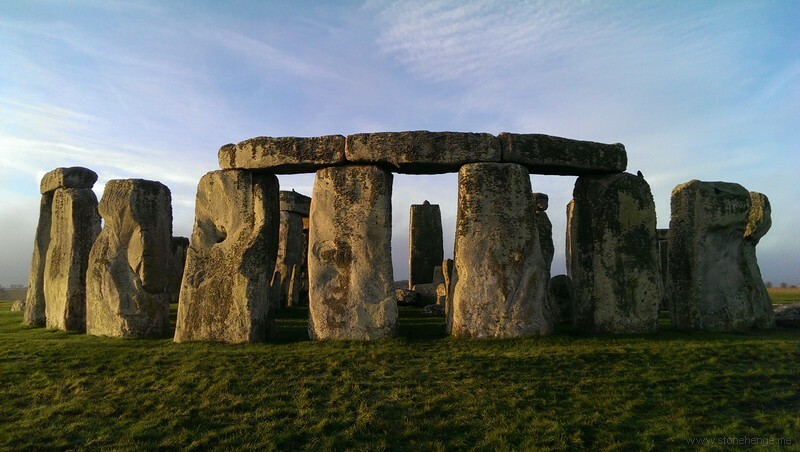 www.Sarsen.org: How wide was the Solstice gap in the Great Trilithon? That figure of around 18" would be consistent with some of the suggestions from various commentators down the years. Depends on height above ground that you're talking about of course (wider gap towards the top as 56 tapers upwards). It's referred to as the solstice gap: As far as I can tell, the Altar Stone would have stood 2 metres tall if it were not recumbent. At that height, there appears to be no way that the solstice setting event could have been observed from the circle: The angles do not work. Perhaps it was a solstice gap with the view of Solstice deliberately obscured so that nobody could see it? Sounds a bit nuts but would make sense if Phase III represented an overturning of the old (solstice related) order represented by that location. Apologies - I was experimenting, as I have not previously commented on Blogs such as this! I think the below is now as I want it! Assuming the Altar Stone was recumbent, the 18" gap allows for viewing a full-Sun diameter between trilithon stones 56 and 55 at a distance of standing between Aubrey stone holes 55 and 56 or slightly further back. In short somewhere alongside the current recumbent Slaughter Stone. Indeed the distance from the gap - at south west facing side - to adjacent pits D and E, is some 1760 inches - how interesting! And this returns a field of view (FOV) of 0.586°. The Sun average angular diameter is 0.533°, so at that point a supposed "High Priest" would theoretically see all of the Sun in the 18" gap. From the Aubrey centre, the gap - now some 365 inches distant !!! - allows for around 5 Sun diameters (FOV - 2.81°). At the "Priest's Station" over the large pit location (as per personal communication from Tim), the gap allows for about 20 Sun diameters - I took the location as some 96 inches distant, giving a FOV of 10.7°. This means that it is very suggestive that the stone holes - pits D and E - at the entrance alongside the Slaughter Stone could have been markers for a "ritual stop" at this point until the full width of the Sun could be seen between Trilithon Stones 55 and 56. In 2500 BCE this would have been at a bearing of 229.12° with the full Sun immediately above the visible horizon. From there the "High Priest" would have had four and a half minutes to walk to the final spot over the pit, at which time the last flash of the Sun at the horizon would be seen at a bearing of 230.02°. As the FOV allows from one full Sun and 20 full Sun diameters between these two ritual positions, the "High Priest", and only this person, would have had the privilege of seeing the Sun setting completely. As Jon Morris points out regarding a standing Altar Stone, the priest would have had the same effect for anyone behind him trying to view the setting. The altitude of the horizon as visible through the Trilithon is between 0.48° and 0.486° above a level surface (0°) so the priest would have obscured anyone else from viewing the setting, as one can imagine he would probably have been wearing a cloak extending to ground level! So the ritual at the culmination of the year, at its shortest day would, speculatively, have been to give due respect to the end of a succesful year and the start of a safe and prosperous new year. How often the Sun would actually shine at this particular occasion is not calculable, but when it did, I suppose there would be the extra spectacle of the High Priest clothed in a shaft of light emanating through the trilithon gap, and then disappearing on its setting. So the High Priest would have been burdened with the responsibility of ensuring that whatever words he spoke to the Sun would ensure a successful new year, be it agricultural or free from some natural disaster. If not, perhaps priest would have been sacrificed at the "slaughter stone" and a replacement High Priest given the responsibility - I think not!!! but I think that's a better scenario than the one of the sacrifice of an intruder as per the BBC! Like Tim, I used Gowland's dig-pictures and the laser-scans, but came up with 14 or 16 inches. 18 is certainly in the ballpark. Conjecture is rife concerning any rituals that may have taken place; some of which involve an upright Altar Stone. I am firmly in the Recumbent Altar Stone camp for a couple of reasons -- the most important being that there's no evidence it was ever erect. Therefore, (with apologies to Terry Meaden) I believe the sun shone completely through the structure at either solstice. I also believe that Stone-D was gone by the time in question and only -E and S-95 were there to frame either Solstice. Standing between them, one could certainly witness the winter sun's descent. But I have a 'thing' for Stone-16 at the SW outer circle. Among the most robust of the circle survivors, it bucks the trend of less-impressive stones as the ring passes around from the 'front'. I go out on a limb when suggesting that S-15 was also beefy. 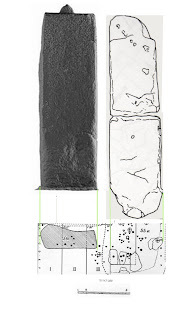 As the two straddle the Axis this tends to indicate that the position was important, and that the area between them and the Gt Trilithon was more than likely to have had a ritual importance. Your work in determining the Sun's diameter between the Stones at various distances in and outside the Circle will no doubt become key to new ideas, but I emphasize that the Sun is rarely in clear sky when setting in December. This suggests that, not only does the 'wide' distance between the Stones seen from circle-center seem to have been intentional, but it also supports the 'Courtyard' idea of the S-16 area. By the same token, there's no reason to think that more than one ritual didn't take place at the same time. 1) I did my calculations purely from geometry, as being a landscape designer in my former working life I had to allow for Sun issues, and therefore have these calculations locked in my mind - although I notice I do have to get the calculator out more as I get older! 16" from the said observing position gives a FOV of .521°, which is at the minimum end of the Sun's range of angular diameters. So 16" to 18" sounds mathematically correct. 14" is pushing it unless we are only talking about a ritual starting point, say from the centre of the monument. 2) I entirely concur regarding SH-D. In fact the astronomy is that between 3500 BCE and 2500 BCE the Sun's lateral shift northwards at setting due to obliquity was 0.18°, and from 2500 BCE to 1500 BCE 0.2°, a total of 0.38° or there-about. Whatever calculations one does, this firmly places the observation location between SH-E and S-95 throughout that period of 3500 BCE to 1500 BCE! In short the purpose of SH-D, bar one or two long shots, is a mystery to me, unless it was simply an initial marker, as a reference point during the long construction period. 3) Again, regarding S-15 and S-16, I concur. The Sun sets low down, almost ground level. At full Sun it should have been seen to almost roll down on, then off of S-15, which has a downward taper towards S-16. the last flash of the Sun is indeed right at the foot of S-16. That is exactly what the calculated sight lines do - they move from roughly the end of S-15 down to the bottom of S-16. If S-15 were taller it would have obscured the initial visibility of the Sun. 4) A note of caution here - never look directly at the Sun. At sunset, as you note Neil about weather conditions at this time of year, an experienced person can get away with viewing, but not staring at, the Sun for say max ten seconds with strong sunglasses. I rarely try that - perhaps two or three seconds at a time, if I'm trying to adjust camera settings. Imagine then four and a half minutes between start to finish! I believe that much of the design was deliberately that way to significantly filter the intensity of the sunlight for the "priest". Once the Sun is half below the horizon, viewing it would have become progressively more sustainable and safer until last flash - but still for people reading this, strong sunglasses are absolutely essential, there are no second chances when it comes to the Sun and your eyesight! Also, I imagine that at complete set, this would have left a dark eerie atmosphere within the monument - appropriate for an end of year exit - so to speak. 5) Which leads on to your note about a range of possible rituals - entirely agree. For example, the summer sunrise/sunset experience would be quite different, and there are several very interesting stellar events, which would have been seen throughout the above mentioned period, after sunset - but that's beyond the scope of this dialogue.